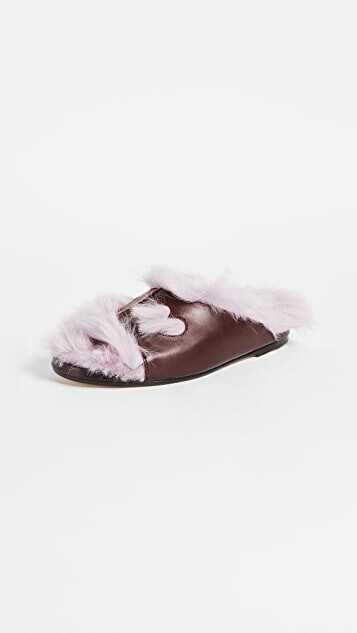 Plush fur adds cozy style to these rich leather Anya Hindmarch slides. Cutout hearts detail the vamp. Rubber patch at leather sole. 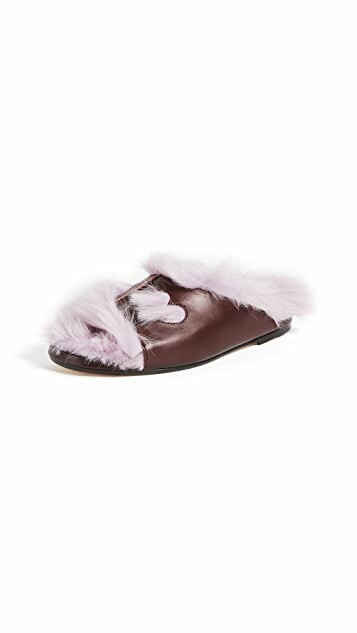 Fur 1: Dyed lamb shearling, from Spain. 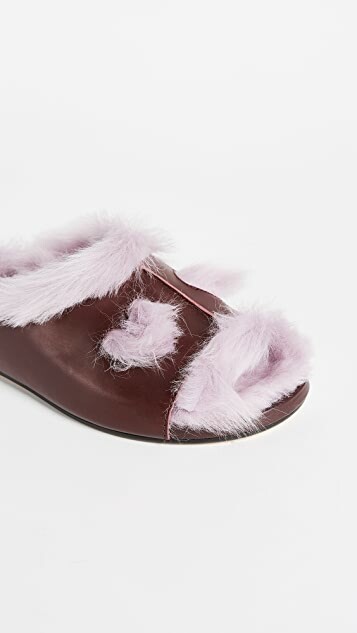 Purple is my favorite color and love the color combo with the burgundy, these are just adorable slippers. 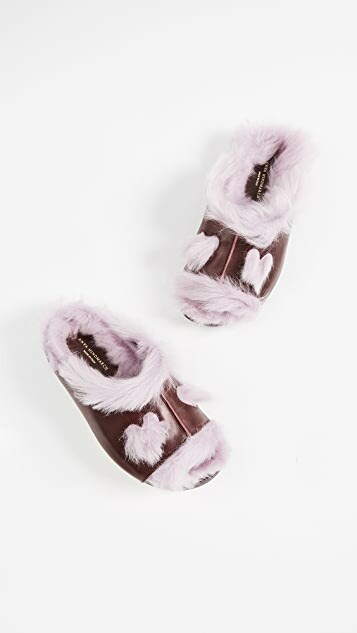 Comfort of Ugg with a cuter design. Real cute heart design at the top. 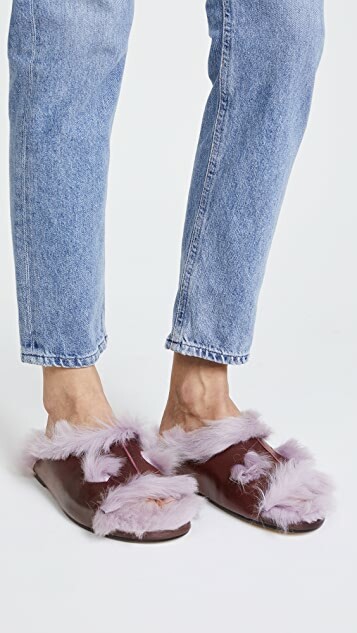 Great replacement for some very old falling apart purple Uggs. These will be mostly indoor wear and maybe out for an errand or two.